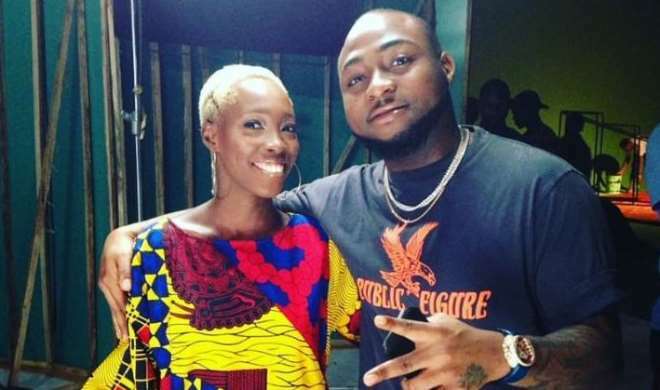 Nigerian model with tribal marks, Adetutu Alabi who has been on the trend due to her tribal marks, was recently opportune to meet with singer, Davido in Lagos. Adetutu might not have the best certificates in the world like many models have but her tribal marks have stood her out and today she is getting all the encouragement she deserves. It would be recalled that she granted an interview with one of the dailies that she lost her relationship some years back due to the marks. “One of the reasons the father of my child absconded was because of my tribal marks. He could not be with me in public and he only made us meet at night; we dated for some months in 2008 and I got pregnant in 2009. I bore a girl for him and she will be nine years old this year. “I felt I was the ugliest girl in the world. I got fed up with relationships because men didn’t always want to go out with me during the day; they would prefer to be with me at night. There was a guy I dated for two years and that was the condition of the relationship, so I had to endure,” she said.